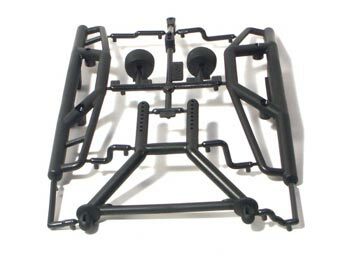 This is a Wide Bumper Set and Long Body Post Set for the HPI Savage Truck. The bumpers are used in the front and rear of the truck. Two front plastic "dummy" lights. REQUIRES: Cutting parts from parts tree.